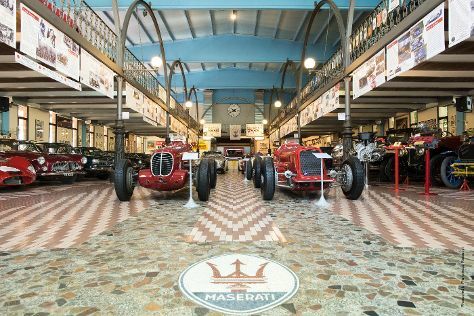 Kick off your visit on the 17th (Fri): take in the spiritual surroundings of Duomo di Modena, examine the collection at Panini Motor Museum, then see the interesting displays at Casa Museo Luciano Pavarotti, then get the adrenaline pumping with an extreme tour, and finally examine the collection at Museo Ferrari. On the next day, don't miss a visit to Piazza Grande, see the interesting displays at Acetaia Giuseppe Giusti, then savor the flavors at Acetaia Villa San Donnino, and finally examine the collection at MEF-Museo Enzo Ferrari. To find maps, reviews, and tourist information, refer to the Modena trip itinerary builder website . If you are flying in from Germany, the closest major airports are Bologna Guglielmo Marconi Airport, Verona Villafranca Airport and Peretola Airport. In May in Modena, expect temperatures between 27°C during the day and 14°C at night. Finish your sightseeing early on the 18th (Sat) to allow enough time to travel back home.